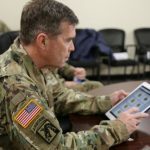 WASHINGTON (Army News Service, March 13, 2013) — The Army has made available to Soldiers a new online resource to complement the Ready and Resilient Campaign that launched March 12. The campaign’s website is available now at www.army.mil/readyandresilient, and is designed as a “one-stop shop” for resources related to Soldier resilience and readiness. 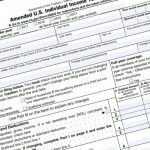 The new site includes sections for medical readiness, personal readiness, and Soldier transition issues. On the front page of the site is a list of hotlines for Soldiers to call for when “something bad happens,” said Col. John Sims, with the Army’s Office of the Chief of Public Affairs. Such an event could include a sexual assault, suicide issues, traumatic brain injury or post-traumatic stress disorder. Resilience is an individual’s ability to bounce back when “something bad happens, in the simplest terms,” said Sims. A Soldier’s resilience, he said, can come from how they were raised, the experiences they had in their lives, and how they were trained. 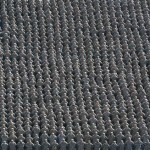 Sims said the secretary of the Army, the chief of staff of the Army and the vice chief of staff of the Army want to show the connection between a Soldier’s resilience and a Soldier’s readiness for duty. That connection, and maintaining that connection, is the impetus for the Ready and Resilient Campaign. 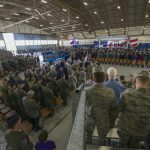 “We are recognizing that it’s not just the training we go through that makes us ready, but all the things that we bring as an individual,” Sims said. An “allostatic load,” she said, describes the physical consequences to one’s body that result from repeated exposure to stressors. Those stressors could include, among other things, relationship issues or financial issues, for instance. Such stressors can affect a Soldier’s ability to concentrate, Sims added. And long-term exposure to such stressors, and a Soldier’s inability to adapt to them and deal with them can also affect his or her health, Gonzalez added. 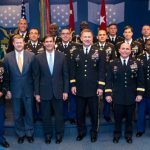 Sims said the Ready and Resilient Campaign offers “nothing new” in terms of programs, but instead aims to take an array of existing Army programs and optimize them, to make them all more effective. Additionally, he said, some programs that are redundant have been eliminated to ensure resources are directed to other more effective programs. The Ready and Resilient Campaign website is just one part of a larger Campaign to emphasize how Soldier resilience directly affects a Soldier’s readiness, and the readiness of that Soldier’s unit. The goal of the Ready and Resilient Campaign is to make it easier for Soldiers, commanders and families from all components of the Army to find the resources they need to make themselves ready for the war fight, and to help them understand the connection between being resilient and being ready to be a Soldier.